Back to school today and my boy was like the above sleepy bear this morning. And he has also put on weight (commented by Papa)...haha. 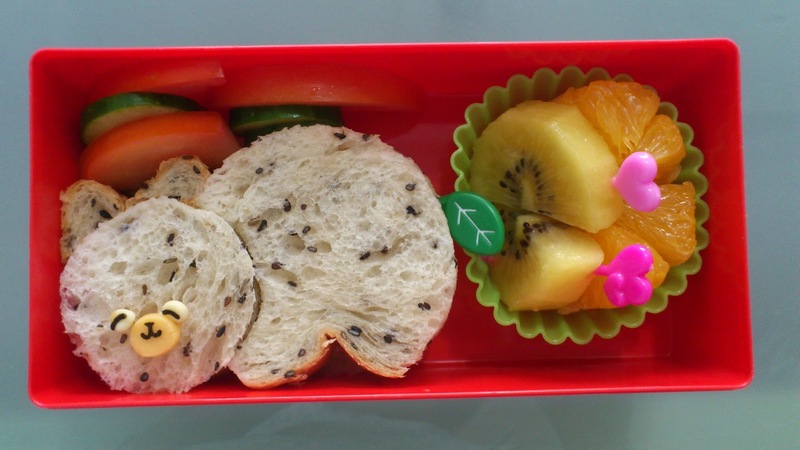 In his lunchbox, my son has black sesame bread with tuna mayo spread, some Japanese cucumber, tomatoes, yellow kiwi and oranges. June holidays this year was quite eventful for our family. First, Papa was away on the second week onwards due to his overseas working trip and family matters in his hometown in Malaysia. Luckily, we did spent one good week holidaying in Darwin, Australia before hubby posted to Bangkok to work. Although Daddy was out of town, Mommy managed to plan some outings over that period. We have been visiting the Art Garden every year with his old buddy, Xian Xian. 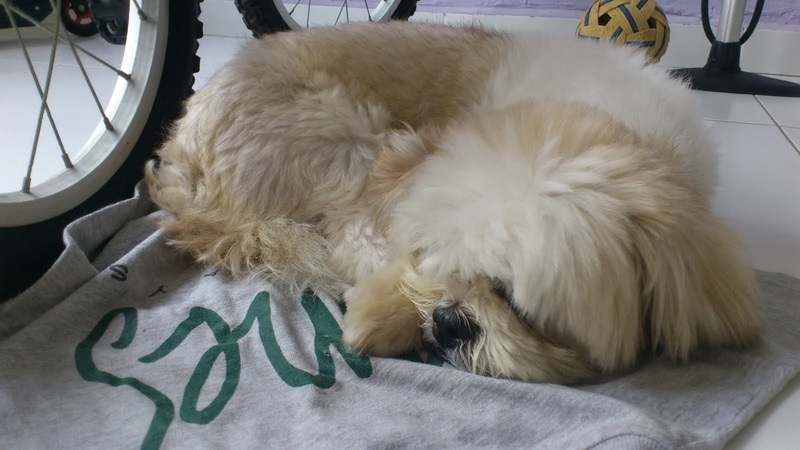 It was still his favourite place despite that we did not have Xian Xian with us this time round. Somewhat, we felt something was amiss without his old friend. It was a one week program organised by his kindergarten. 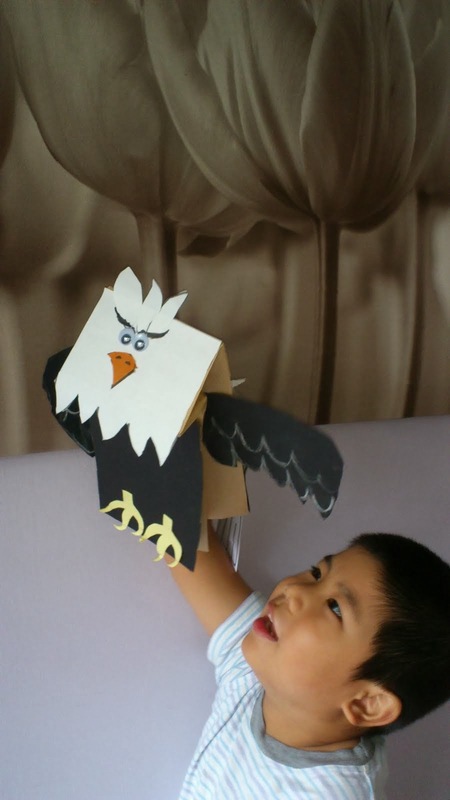 Our objective was to let him have fun in the Mandarin program and hopefully, improve his spoken Chinese. And at the end of the program, parents were able to see the children perform on stage. The theme was "塔巴士" (which translated as boarding bus). My boy enjoyed the holiday program as much as the food provided during tea time. But I felt that kids were given too much sugar drinks and sweets. Coincidentally, Papa was also away in Mexico for business trip when I first brought him to eXplorer kid indoor playground two years ago. We came back again mainly because the haze condition in Singapore has reached hazardous level exceeding PSI 400 at one point in time. We would have been suffocated by the acrid burnt smell had we stayed at home without air-conditioning (ours was faulty and due for change). It was just too hot to stay at home! Hence, I decided to head out with masks after my son finished his Chinese Drama class. As I mentioned earlier, weather was really hot and uncomfortable to stay at home without air-conditioning. So I packed our bags, poo pan and the 'boys' (my son and doggie) into our car and off we went for our first sleepover at my Mum's small apartment. Nitro, our pet dog, was very well behaved and did not make a mess of the house. Good dog! Few days before the school opens, my boy began to feel bored, reckless at home and missed Papa. And I just wanted to be lazy for that day. :P Therefore, we went to watch the movie - Monster Inc University since he had mentioned that he would like to go for a movie in the cinema. And yet my boy was complaining "It was so scary!" throughout the show. For the records, this was his second movie watched in the cinema insofar.